Early farmers used fences to pen animals for the strategic dropping of manure, and to separate livestock from crops. Subdivision of land within families added even more boundaries and fences. 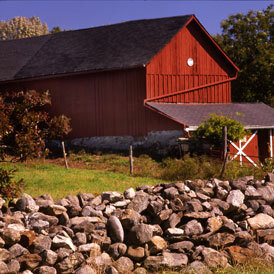 These fence lines became magnets for stone refuse that would otherwise have ended up in stone piles. Stones were often lugged to the side of the field by hand and tossed one upon the other.